If you’re currently having the crappiest week of your life, breathe easy, take a step back from the shambles and look for inspiring ways to be resilient in the face of awful situations. Example: snowboarder Tom Oye, who got caught in an avalanche and brushed it off like it was no big deal. As reported by Sploid, the surreal footage captured by Oye’s helmet cam reveals what it’s like to slide down a mountainside in a sea of accelerating snow chunks — and actually survive to tell about it. 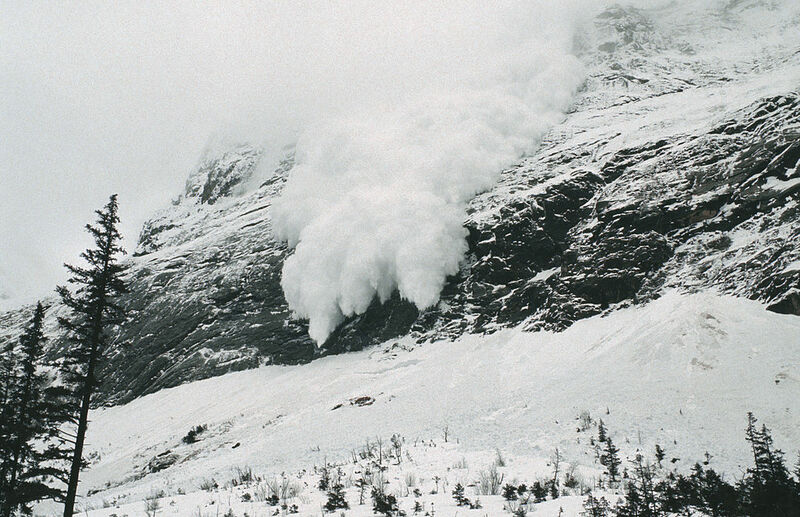 The 29-year-old was sailing down the slopes in Whistler, British Columbia, Canada when the ground beneath him suddenly cracked and gave way. Luckily, Oye had the presence of mind to utilize his inflatable avalanche backpack (that he received as a Christmas gift), which helps wearers stay near the surface of an avalanche and avoid falling debris. It also produces an air pocket to help with breathing should the person wearing it become buried beneath the snow. Oye shared the breathtaking footage on Facebook and it’s as terrifying as it sounds. "Not how I planned on starting the morning...stay safe out there kids!!!" he captioned the video. Talk about a close call. The inflatable backpack was a literal life-saver for Oye, according to David Cote, a snowmobile guide in the area who witnessed the death-defying incident.